Our ‘no nasties’ policy means that mio products are completely free from parabens, petrolatum, mineral oil, artificial colourants, sodium laureth or lauryl sulphate, xenoestrogens, phthalates, PEGs. We also do not test any of our products on animals - so you can now look fantastic, feel incredible and know you are making a difference in the beauty industry! Our aim is to be the leader in our field of skin and bodycare. Many women have reported on seeing a significant difference in their skin tone and overall skin health after incorporating mio into their skin care routine. Whether this is from the visible reduction of stretch marks to smoother and slimmer tummies, here at mio we promise to nourish skin with the best quality ingredients that will produce the best quality results. The must-have tool for reducing the appearance of cellulite. Create smoothed, detoxed and stimulated skin with the Mio Body Brush. A body care brand that works to firm, refine and hydrate the skin, discover Mio Skincare. These gentle but hardworking formulas help to banish dry skin, reduce the appearance of cellulite and allow your body to relax post-workout. 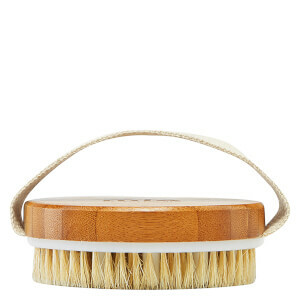 Bestsellers include the Body Brush and the Get Waisted Body cream. 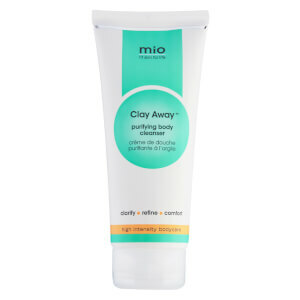 Mio Skincare aims to give you fit skin and complement your overall fitness routine. Mio Skincare believes in giving you fit skin for life. Give your skin positive energy from top to toe, so you feel confident and gorgeous in your birthday suit... no matter the birthday. If you’re looking for the ultimate way to smoothen and firm your skin, then look no further. This skin care brand is all about keeping your skin fit as you keep yourself fit, and no matter your activity of choice, these products promise to perform for you. Even if sports aren't your thing, the products are perfect for toning up any unwanted stretch marks and signs of cellulite, so delve into the range and find the perfect skin firming cream for you. The brand was founded 8 years ago, and was set up by four friends who wanted to find the ultimate skin care solutions to suit their individual needs and lifestyles. Today they work to create a range of skin care products that leave your skin feeling fit and healthy, and ultimately aim to allow every woman’s confidence to shine through. Founders of the Mama Mio range, which offers an effective selection of pregnancy skin care for expecting mothers, the friends have expanded their brand to cater to all sorts of women and their different needs. With these body care products you are guaranteed to feel positive and confident in your active skin, and the brand promises that the treatments will work as hard as you do. Whether you are a keen runner or you have a passion for yoga, you can make sure that your skin is always as radiant as you feel - and don’t forget, all of you lucky expectant mothers out there can pick up your smoothing and firming solutions from the pregnancy skin care range too. Keep your skin firm, fit and full of life with this effective collection of body care products, available here at BeautyExpert.com with free delivery worldwide.